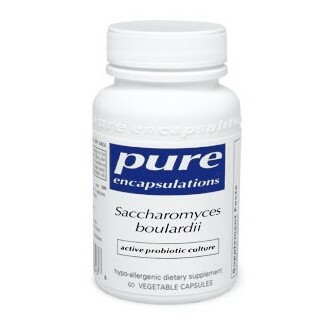 *Saccharomyces boulardii is a nonpathogenic, probiotic yeast which nutritionally supports the health of the gastrointestinal tract. This yeast protects against intestinal dysbiosis caused by a disruption in the balance of healthy gut flora. 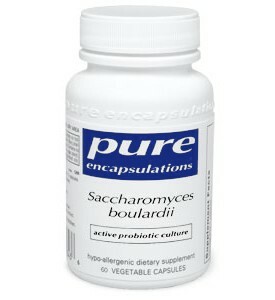 Pure Encapsulations Saccharomyces boulardii contains a minimum of 5 billion live cells per capsule. Due to the heat sensitivity of this product, we will only ship orders containing this product on Monday and Tuesday. Please be advised that if you place your order on Wednesday-Friday it will be held until Monday.